Listen Up! 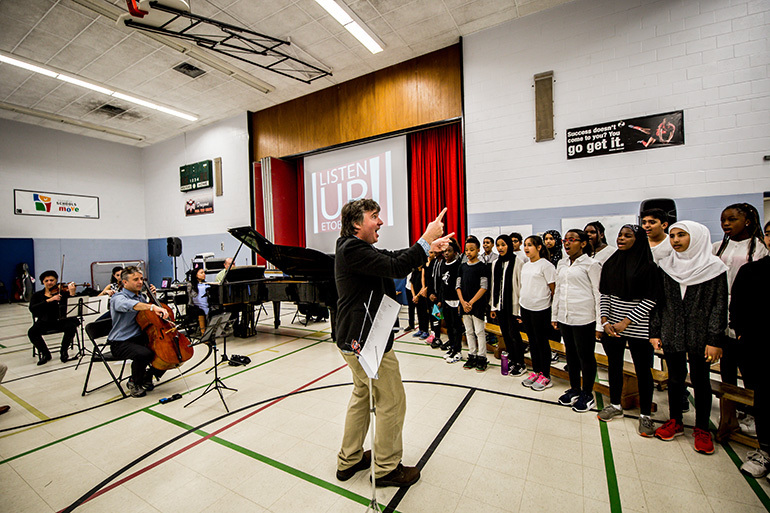 is a ground-breaking artistic outreach program. 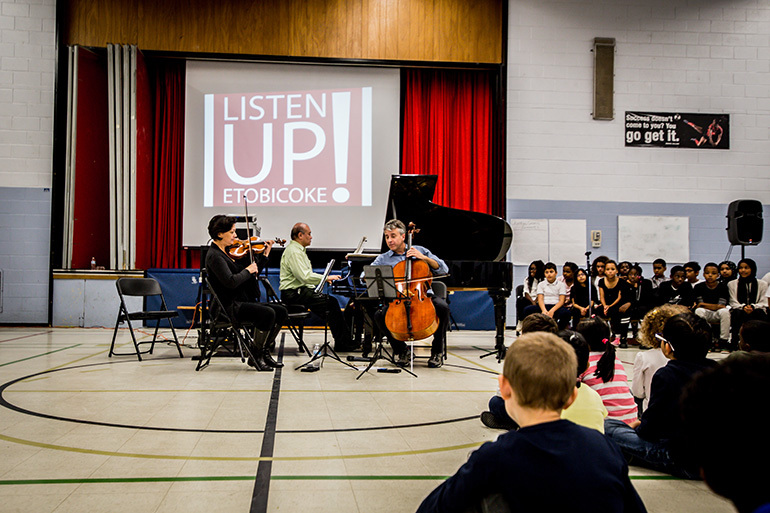 Conceived and launched by the Gryphon Trio in 2010, Listen Up! 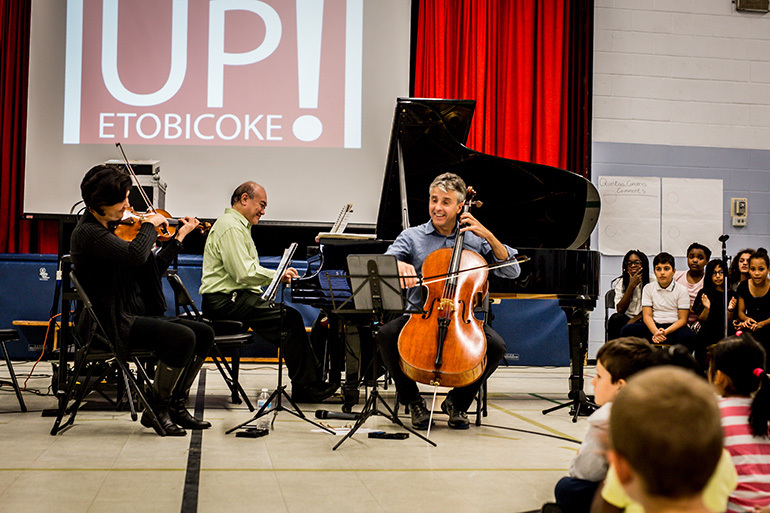 projects have been produced in elementary schools in 16 communities across Canada. Listen Up! 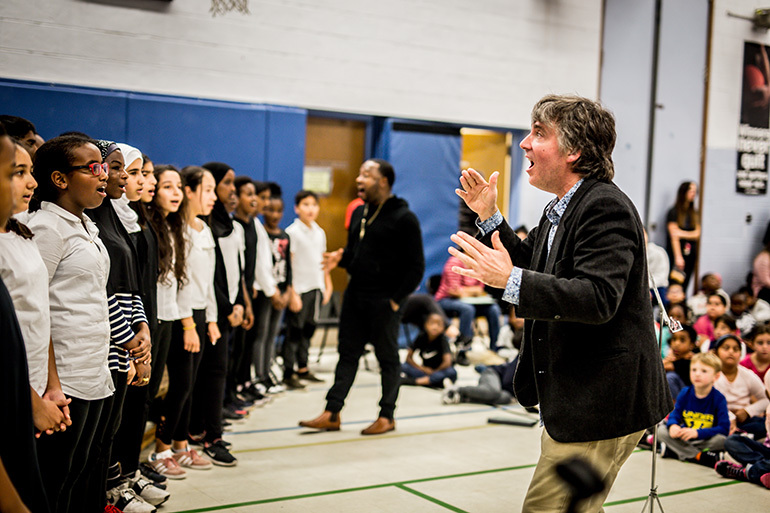 engages elementary school students and teachers over an entire school year in a series of artist lead workshops that nurture creativity and enable personal expression through poetry, music and visual art creation, and live performance. 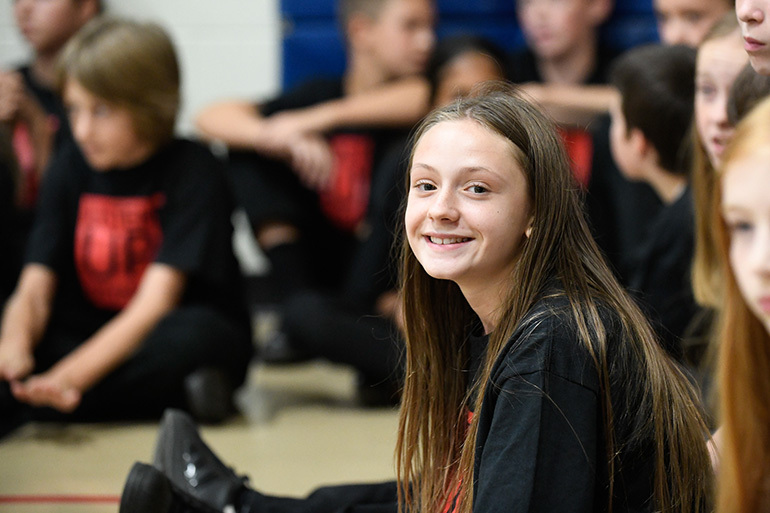 Each project concludes with a three-day rehearsal residency and performance that showcases results produced throughout the year. Listen Up! is a deeply enriching experience that benefits participants, their families, and whole communities for years after the project concludes. 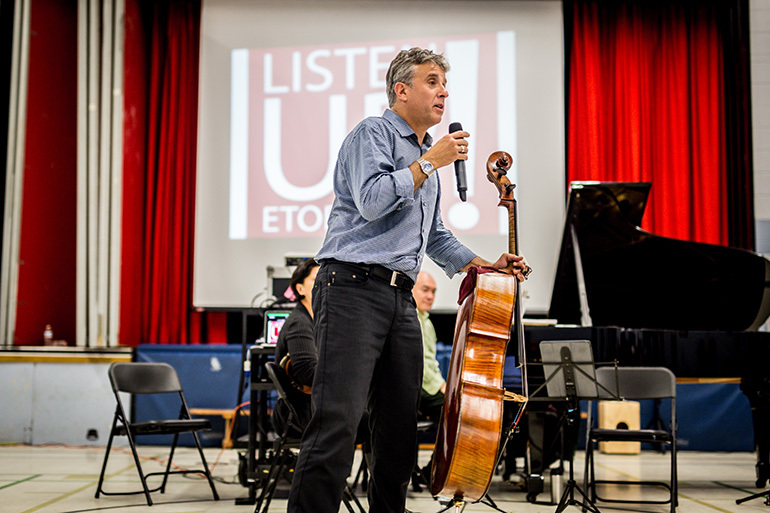 As many of you may know, in 2017 we established a permanent Listen Up! hub in our nation’s capital. 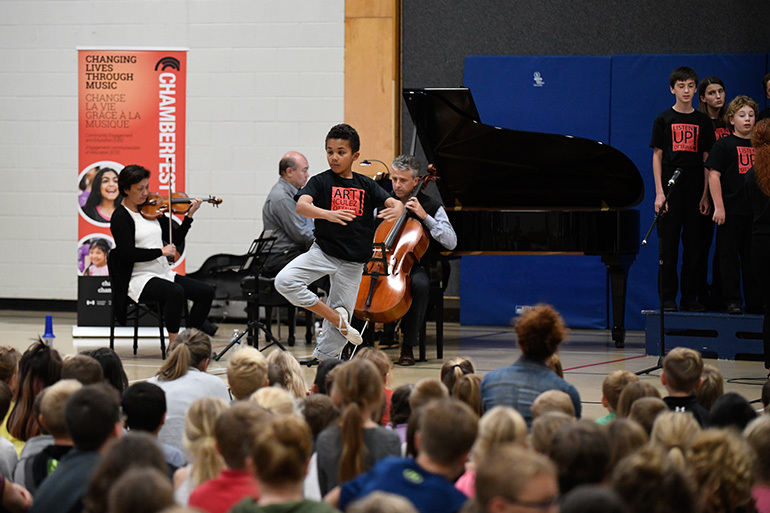 This partnership with Chamber Factory and the Ottawa Chamber Music Society is an important part of the Chamberfest Community Engagement and Education initiative. On September 20, Listen Up! 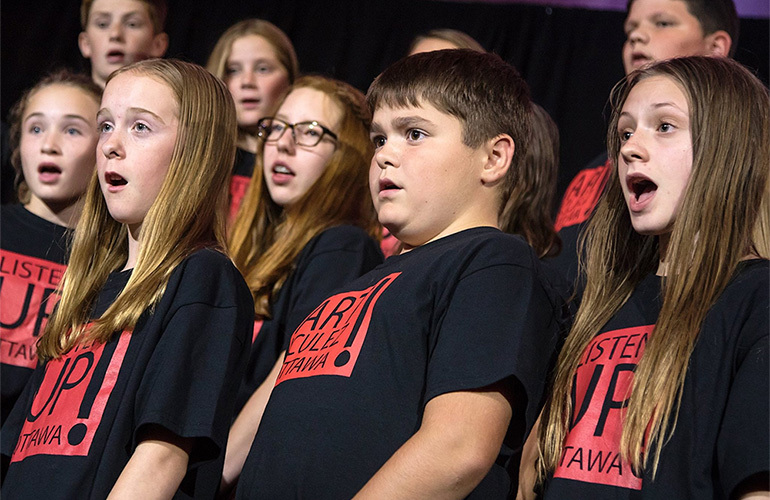 Ottawa launched its second exciting year of programming at Castor Valley Elementary School, in the very southern reaches of rural Ottawa. 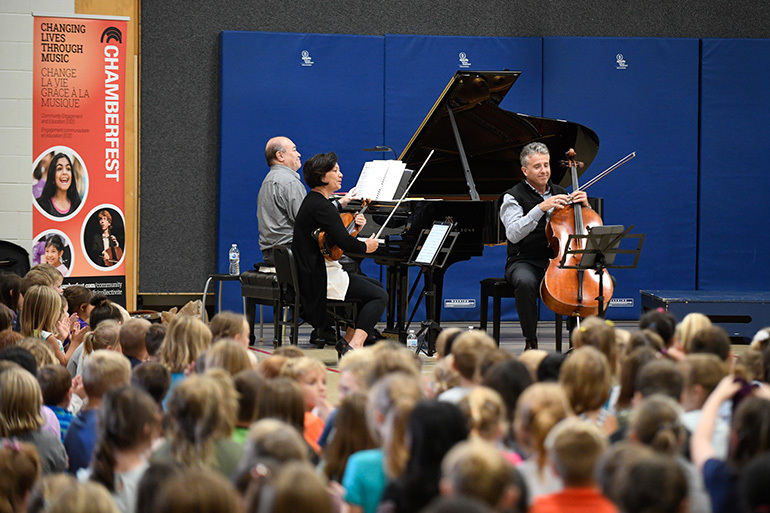 We selected Castor Valley Elementary in response to a compelling appeal by music teacher Kristeen Kemp. 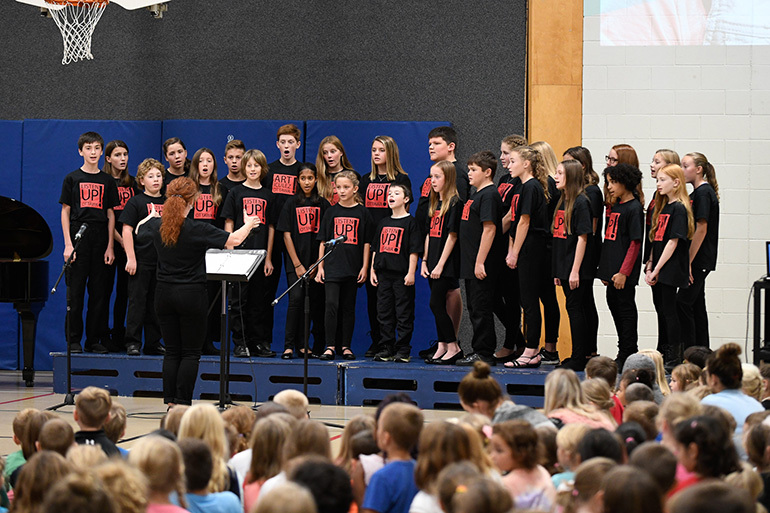 We look forward to reinforcing the impact that Ms. Kemp’s unbridled energy, passion for music, and leadership has already generated in this very special school. 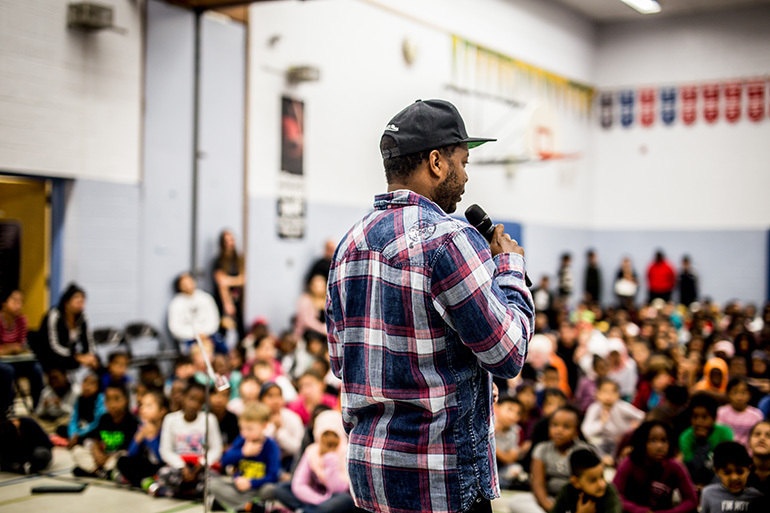 Along with our team of dedicated collaborators, local artists, and supporters like you, we committed to help Ms. Kemp and Castor Valley Elementary harness the full potential of Listen Up! as it unfolds throughout the year. Listen Up! 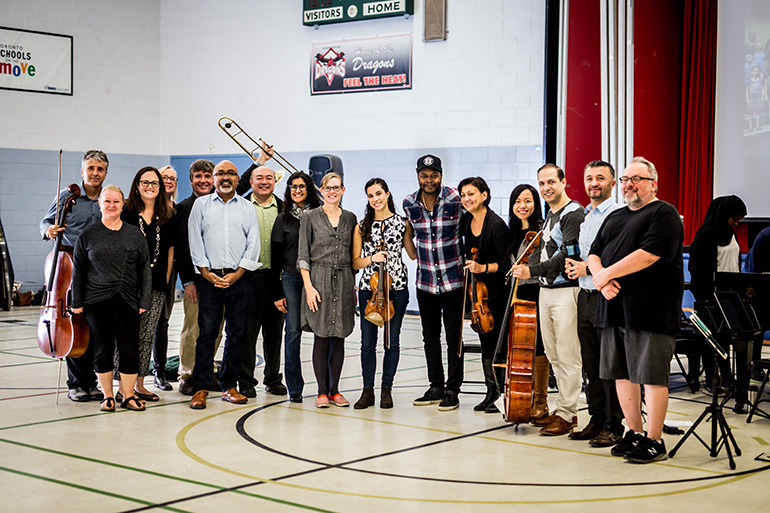 Ottawa 2018-19 features as artist mentors composer Kelly-Marie Murphy; spoken word artist and poet laureate of Ottawa, Jamaal Rogers; visual artist Susan Langlois; the Gryphon Trio; and educator/composer/conductor Rob Kapilow, of What Makes it Great ® fame. 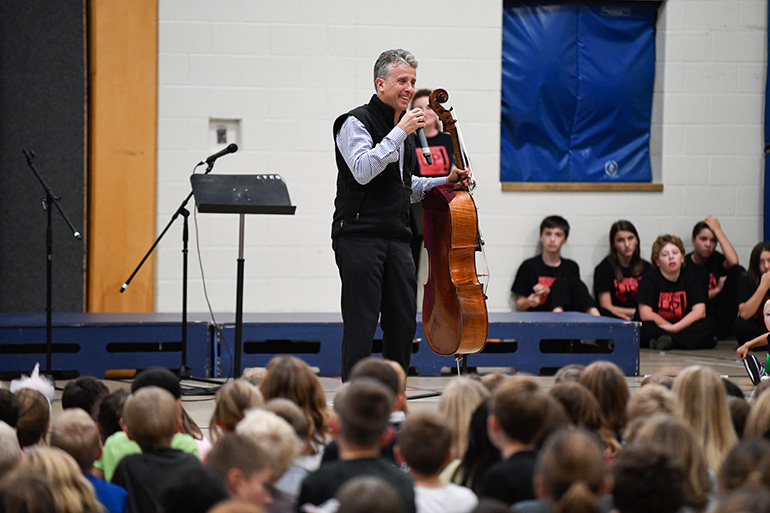 Special thanks to the Temerty Foundation, BMO, Chamber Factory, and the Ottawa Chamber Music Society for their support of this important outreach and arts education initiative. 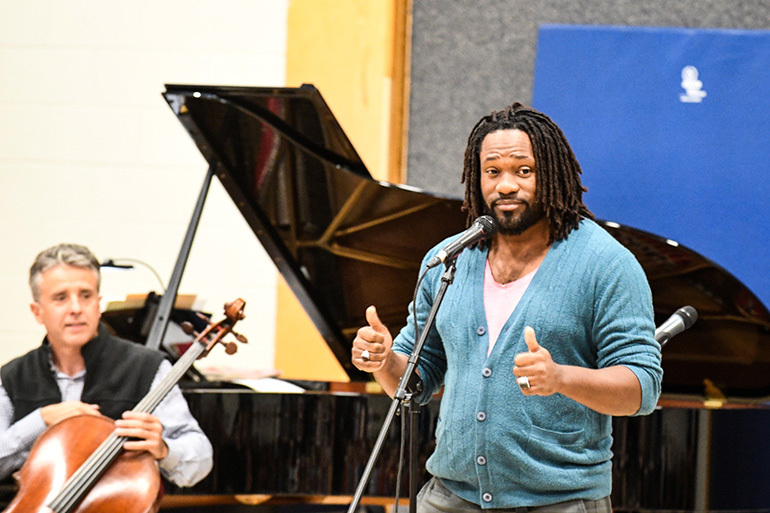 In October, and in partnership with Chamber Factory, we will establish a second permanent Listen Up! hub in Etobicoke, Ontario. 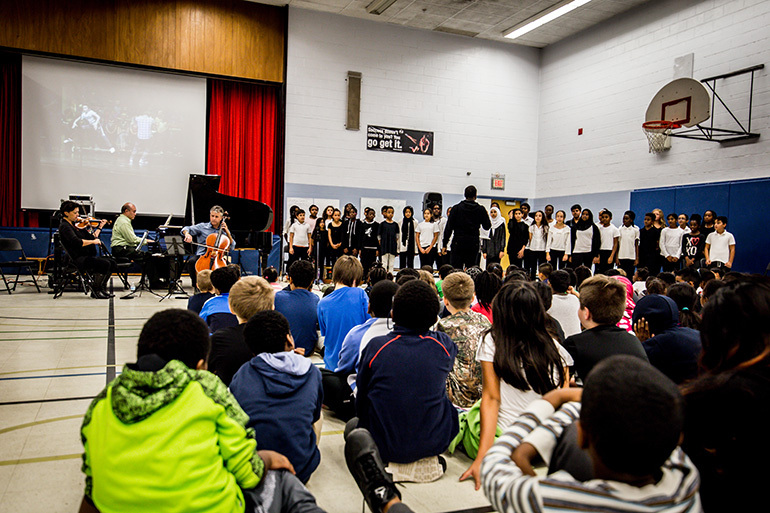 The premiere 2018-19 project takes place at Dixon Grove Elementary School, in a diverse area whose students have limited access to the arts. 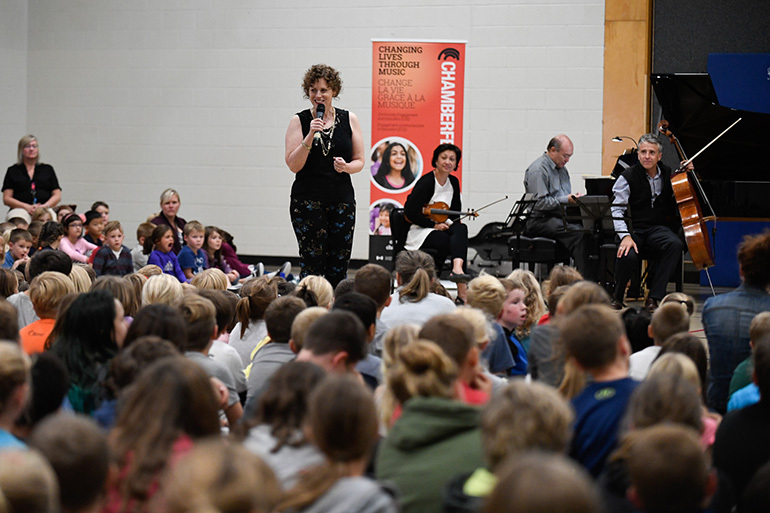 The project will support artists in the region and build connections beyond the school – with parents, community leaders, and other arts and social services agencies. 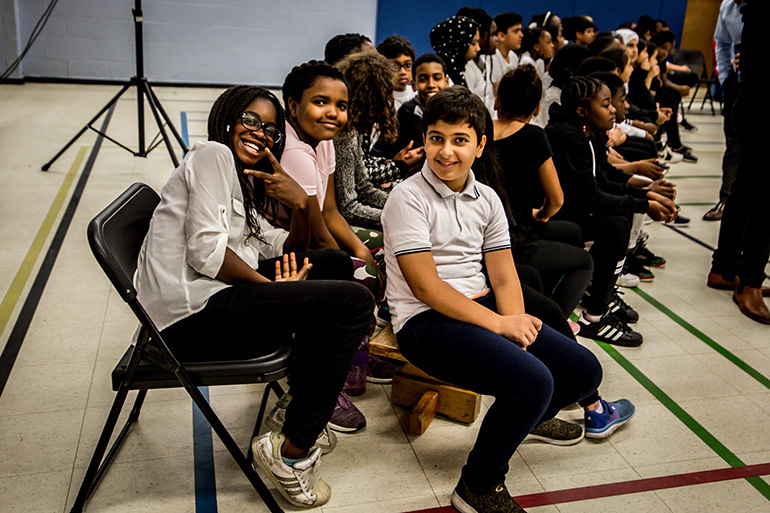 Our goal is to develop a deeper understanding of the needs of this vibrant community, and to be strong supporters of the well-being of its young people. Listen Up! 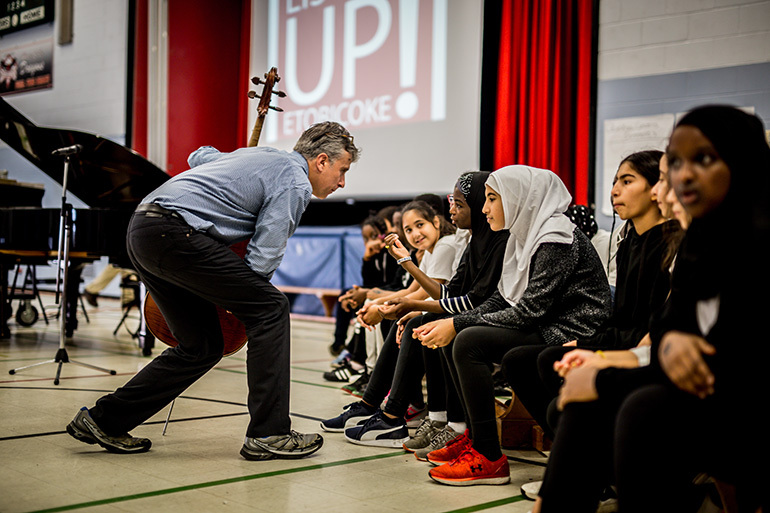 Etobicoke features as artist mentors composer Scott Good; spoken word artist Dwayne Morgan; local visual artists; the Gryphon Trio; the Bedford Trio (emerging artists under the mentorship of the Gryphon Trio); and Rob Kapilow. 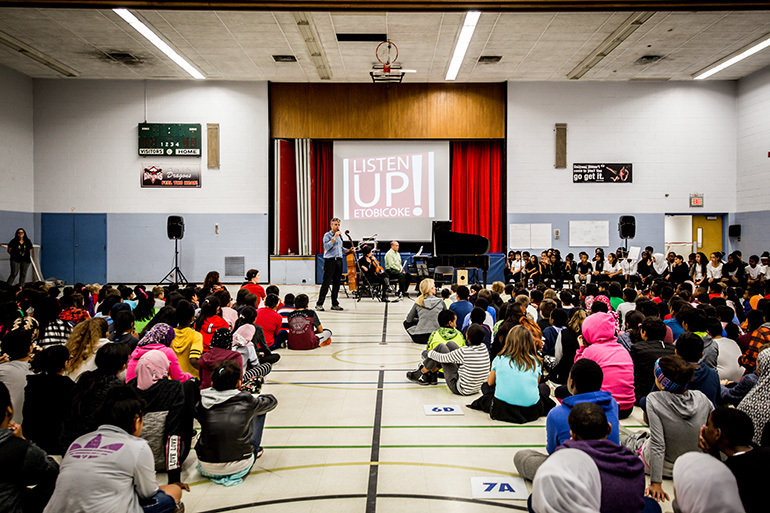 Special thanks to the Temerty Foundation, BMO, the Pluralism Fund, Dr. William R. Waters, University of Toronto Residency Program, and Arts Etobicoke for their support of this important expansion of the Listen Up! program.